There’s chaos and turmoil this week in THE DARK VAULT OF PUBLIC DOMAIN (OK, even more chaos and turmoil than usual). There’s been an explosion, a conflagration, an inferno, a veritable pile of sabatoogie!!! But even such a disaster doesn’t prevent the show from going on as this Saturday UNCLE PETE (where ever he is) brings you a tale of a potential earth-wide disaster – Teenagers From Outer Space! 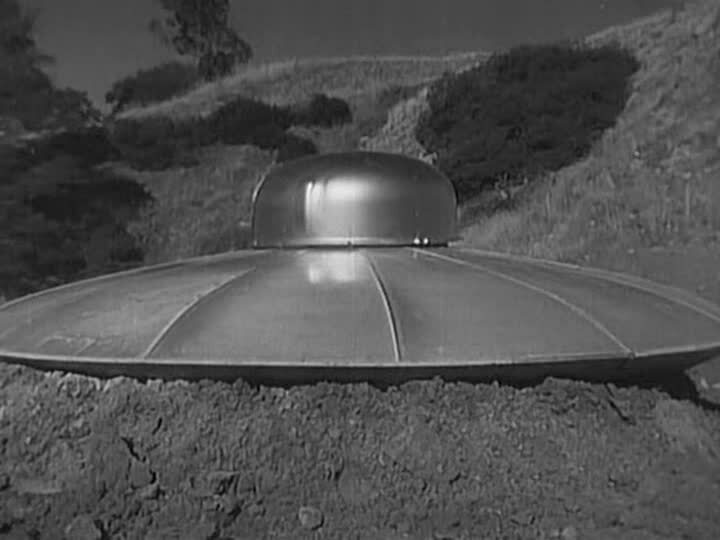 A space hot rod from out there somewhere lands on earth filled with aliens looking for some farmland. But what they plan on farming is a whole bunch of lobster-like creatures called gargons that they use as their food supply. And once these creatures get over their motion sickness from the long flight, they grow to huge and destructive proportions. And that ain’t no good. We know that the aliens are bad when in the opening scenes we see one of them vaporize a happy dog to nothing but bones (and license tag from which we find out his name is Sparky). When one of the aliens, Derek (David Love) finds the tag he realizes that the planet is inhabited and raising the gargons here will pose a hazard to the natives (namely us earthlings). Thor (Bryan Grant) and the rest of the aliens don’t care, so Derek slips away and heads to town where he meets Betty Morgan (Dawn Anderson) and her Gramps (Harvey B. Dunn) and warns them of the impending doom. When townsfolk start getting chomped by the gargons, people start to investigate, including Betty’s sorta boyfriend before Derek showed up, Joe Rogers (Tom Lockyear). The film was not only directed, written, and produced by Tom Graeff, who also happens to be Tom Lockyearof the cast, but tom also had a hand in the cinematography and music and probably brought doughnuts too. From 1959, it’s Teenagers From Outer Space! But that’s not all. 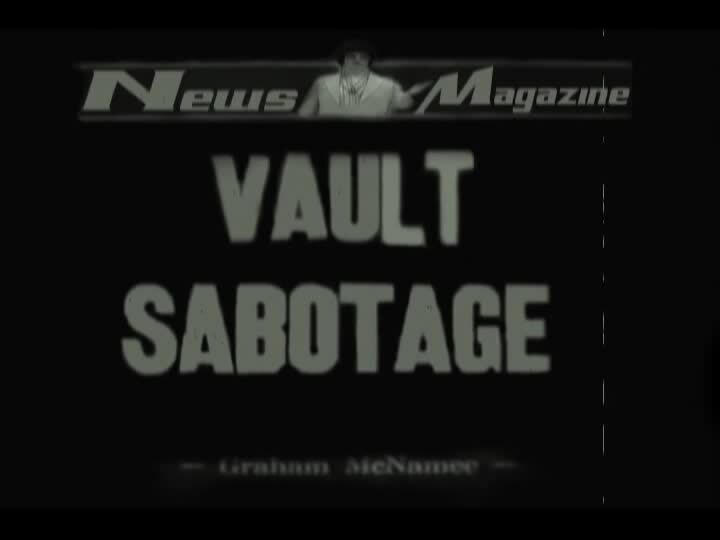 We have some newsreel footage concerning what has happened to the VAULT and some investigations into who dunnit and where the heck is UNCLE PETE. But trooper that he is, he still manages to somehow also bring you an educational short from 1950 entitled Bicycle Safety all about bicycle safety and a DARK VAULT exclusive import from Canada or China (it’s hard to tell sometimes) called Cooking With Foreigners. We also bring you some groovy trailers and a peak at the nations soon to be favorite vacation destination – VITOLAND PARK! So tune in this Saturday, June 30, 2012 at 10PM on channel 4 for Teenagers From Outer Space. It’s the next feature presentation with UNCLE PETE on THE DARK VAULT OF PUBLIC DOMAIN! ~ by UNCLE PETE on June 30, 2012.